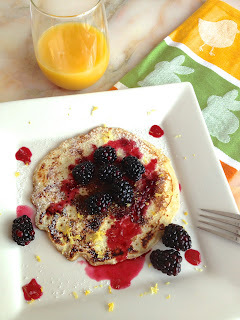 I had a bunch of blackberries to use up and thought that a Blackberry Syrup would be a healthy alternative to syrup great addition to the Lemon Ricotta Pancakes. To make the syrup is actually a very simple process (I guess that's why they call it "simple syrup"). 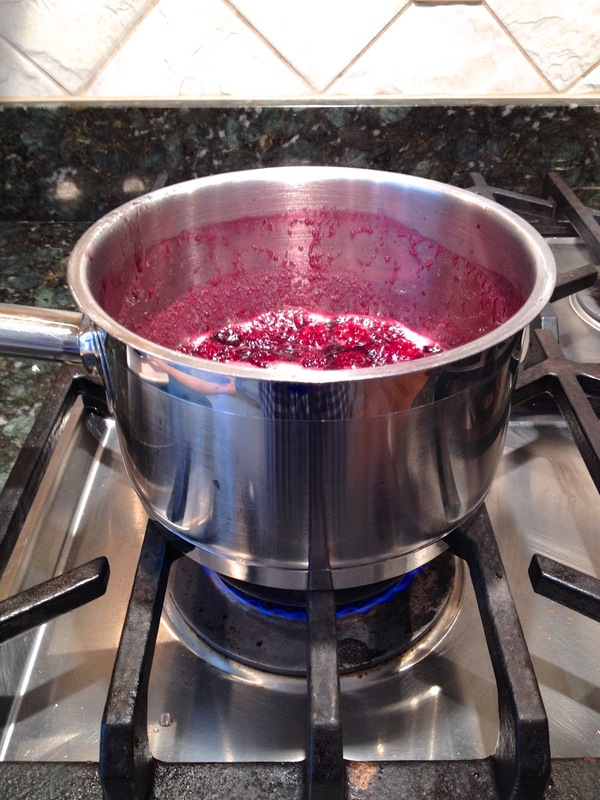 Boil an equal ratio of sugar to water on the stove, and add enough fruit to flavor it. Add the sugar, water and blackberries into a saucepan over high heat. 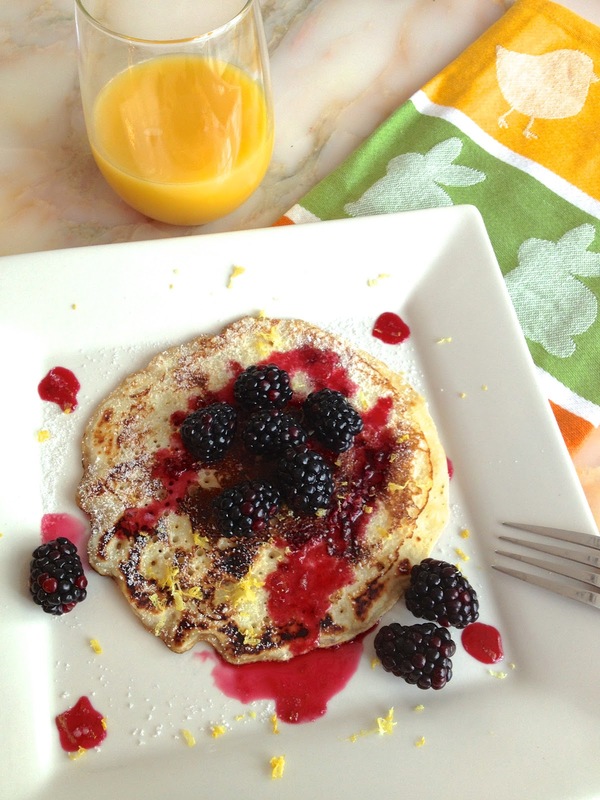 Immediately begin to whisk together to get all the sugar dissolved and avoid clumps or burns.